This fancy little sundress is so adorable for your little cowgirl. 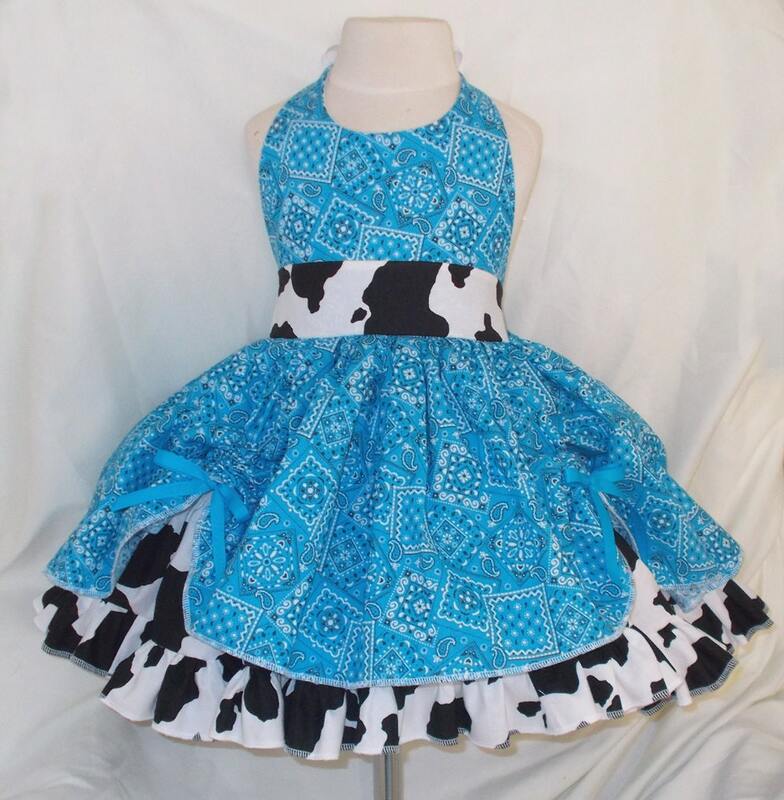 Made with a turquoise bandana print halter top attached to a very full ruffled two tier cow print twirly skirt with a turquoise bandana print ribbon scrunched overskirt. 100% cotton dress has ribbon ties at neck and elastic at back waist. Skirt is made extra full for little cowgirl's twirling fun. Made in the USA. Also available in other colors: Pink Bandana, Red Bandana, Hot Pink Bandana, Lime Bandana, Turquoise Bandana and Purple Bandana. Amazing dress! We ordered in the LIME color and our daughter LOVES it! So cute, easy to communicate with, and came just in time!